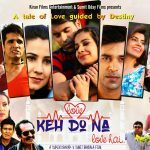 MUMBAI- As part of its publicity promotional campaigns, the team of Keh Do Na Love Hai has worked on a strategic development – To keep the audience glued on to their film in some way or the other. Slowly yet steadily, they are building curiosity for the film. 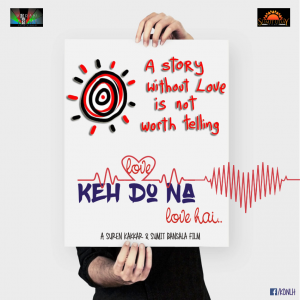 As the film is a romantic musical, they took the opportunity to release the Main Look Poster of their film yesterday coinciding with the Rath Yatra of Shri Krishanji – the ultimate God of Love. 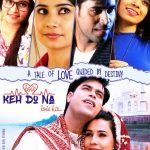 Starring Anurag Tomar (Prince), Pinky Singh, Shivika Taneja, Suren Kakkar, Surinder Pal Singh, Kaushiki Rathore, Pallavi Singh (Pammy), Vivek Singh, Raakhee Dhengyal, Alka Swami, Ankit Tandon and Baby Viya Kasana in pivotal roles, the film is shot extensively in and around Mumbai, Meerut, Mawaana and other parts.